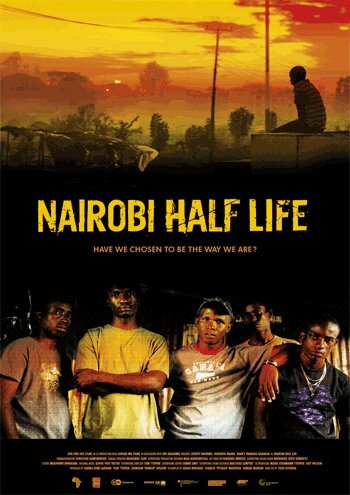 A young aspiring actor from upcountry Kenya dreams of becoming an accomplished actor one day, and in pursuit of this and the chagrin of his brother and parents, he makes his way to Nairobi the city of opportunity. He quickly understands why Nairobi is nicknamed Nairrobery as he is robbed of all his money and belongings and left alone in a city where he doesn’t know a soul. Luck or the lack of it brings him face to face with the city’s criminals and forms a friendship with a small time crook who takes him in. He is quickly drawn into a world of crime as he struggles to pursue his dream of becoming an actor. Keeping the two worlds separate proves to be a challenge for him as he trudges on in this unknown world called Nairobi. This is the story of a young man who despite all odds trudges on in search of his dream. His drive and soft spoken nature are his best resources. His determination is encouraging and he is a true testament that what stands between us and our goals is us. This is Kenya’s first entry for the Foreign Film category at the Oscars. A young aspiring actor (played brilliantly by Joseph K. Wairimu) from upcountry Kenya dreams of becoming an accomplished actor one day, and in pursuit of this and the chagrin of his brother and parents, he makes his way to Nairobi the city of opportunity. He quickly understands why Nairobi is nicknamed Nairrobery as he is robbed of all his money and belongings and left alone in a city where he doesn’t know a soul.